Dame Nellie Melba GBE was an Australian opera soprano who became one of the most famous singers of the late Victorian Era and the early 20th century due to the purity of her lyrical voice and the brilliance of her technique. 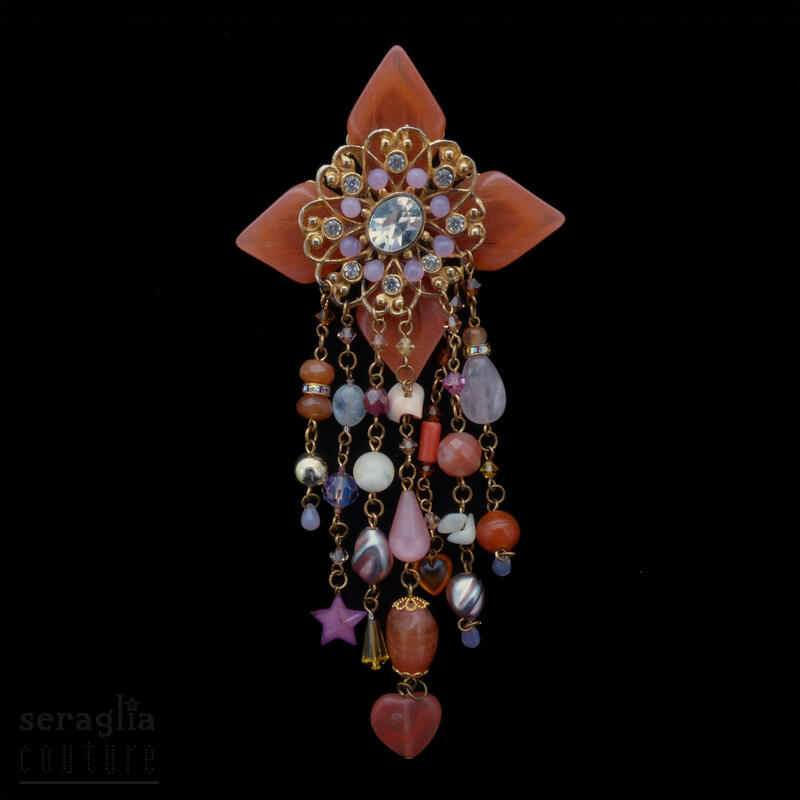 The Peach Melba was named in her honour and has inspired the colours and textures of this brooch. 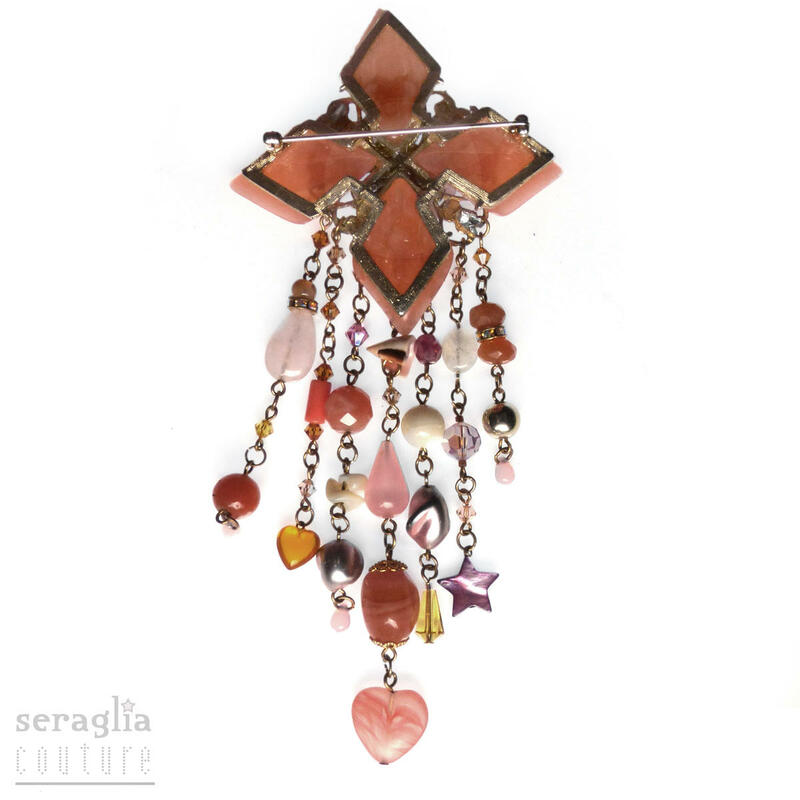 Semi-precious and vintage beads combined to inspire love and to charm all around. 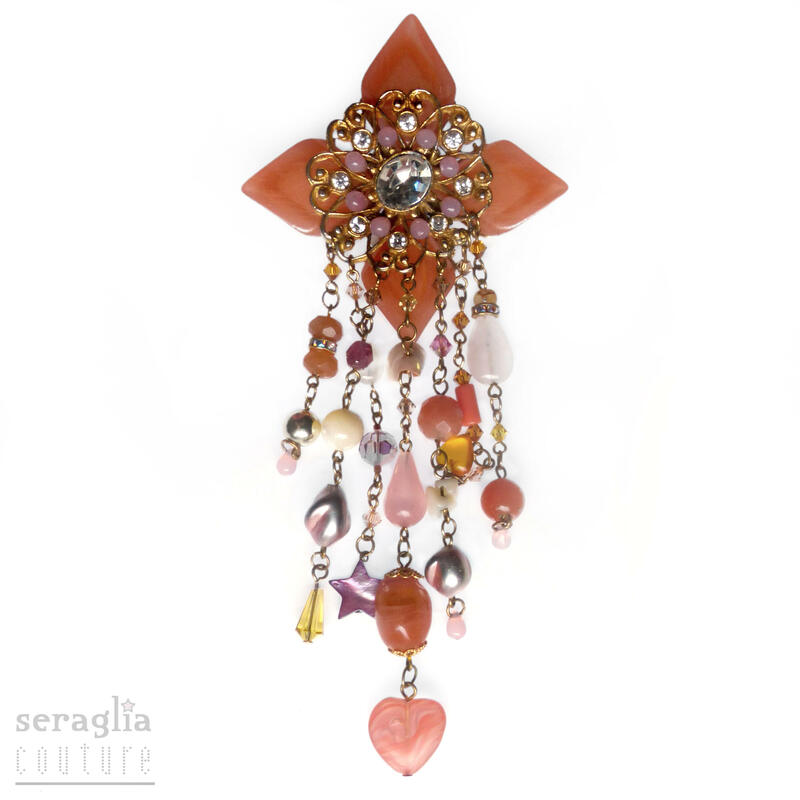 A late 1960's intage lucite panelled brooch has been given a vintage rhinestone set filigree centre and interwoven with rose opal glass beads.